Anxiety disorders are, according to Dr. David Prescott, one of the most common types of mental health illnesses in Americans. To name a few specific anxiety disorders, there’s Generalized Anxiety Disorder (GAD), social phobia, and panic disorder. Besides social phobia, there are a number of specific phobias related to spiders, snakes, germs, and even traveling by airplane. Each anxiety condition has unique symptoms, some of which overlap among disorders. Many people with anxiety disorders, for example, experience physical symptoms such as nausea, excessive perspiration, and frequent headaches. The symptoms of panic disorder are mostly physical, whereas the symptoms of OCD are typically more present in the mind. The article written by Dr. Prescott addresses a number of anxiety disorders. He also goes over treatment types and how to tell the difference between a normal, healthy level of anxiety and an excessive, unhealthy amount that may be indicative of an anxiety disorder. If you want to read the article on anxiety disorders, you can click on the link provided here to access it. 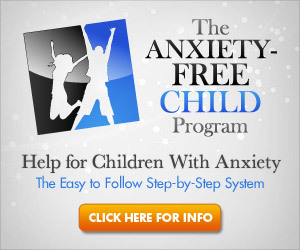 Beneath Dr. Prescott’s article, you will also find some well-reputed resource sites where you can read more information about anxiety disorders.